The US Environmental Protection Agency is admitting that consumers could not help but be exposed to several toxic substances that are naturally found in ground and tap water. It even estimates that an American in every five consumes tap and supplied water that is violating safety standards set by the agency itself as part of the national Clean Water Act. Thus, demand for reverse osmosis, carbon filtration, and other water purification method has always been on the rise. It should be noted that today, reverse osmosis is one of the most widely used water treatment process used not just in the US but also in 100 more other nations across the globe. It has created in itself a global $8 billion industry, as wealthier nations in the West and in the oil-rich regions spend more money and capital in establishing and operating reverse osmosis water purification facilities. It is expected that about 15 years from now, shortage of safe drinking and potable water would be a worldwide severe concern. There are still many data and knowledge that you should know about reverse osmosis. Begin with the basic. 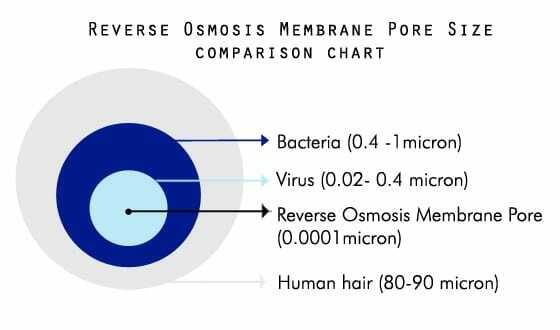 First, reverse osmosis is a technology for water purification that uses normal water pressure in forcing water to pass through a semi-permeable membrane, which is specifically used to separate or filter out contaminants and impurities from water. Purified or treated water is usually emerging from the other membrane side, while impurities are left on the other. In the process, sediments of impurities eventually accumulate and buildup in the membrane. When that happens, it needs to be replaced. The process of reverse osmosis is very effective in facilitating removal of specific impurities from water. Such contaminants could include asbestos, turbidity, lead, total dissolved solids, radium, heavy metals, and several dissolved organics. With the same concept, reverse osmosis is helpless or useless in filtering out lighter weight and smaller molecular volatile organic compounds, including chlorine, pesticide, and herbicides. Water could pass through the semi-permeable membrane because of its tiny molecules. However, if a molecule of an impurity is smaller than molecule of water, it could also do the same and pass through the membrane. When this happens, the filtration process gets ineffective. One other downturn of reverse osmosis is the unintentional but inevitable removal of healthy and naturally occurring minerals that are found in water. If the process could filter out contaminants and impurities, unfortunately, it could also do the same for important trace minerals found in water. This is because the semi-permeable membranes used are almost always impermeable to naturally occurring trace minerals in water. Water Aid, a global water conservation organization is advising against the use of reverse osmosis. Why? This is because the process could break conservation practices. It usually takes about three to nine gallons of water before just a single purified water gallon is produced. This would certainly be a concern in areas where water shortage is already a problem. The process is also very slow to defy urgency and very expensive to facilitate, especially for massive or large scale.